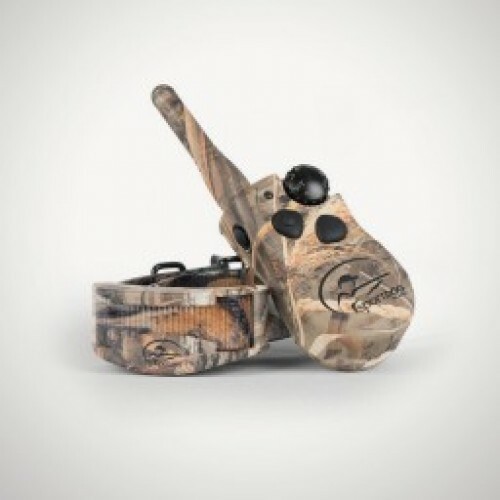 Designed for the waterfowl hunting environment with close-working dogs, the WetlandHunter® 425 takes the most advanced, industry-leading technology that SportDOG® has ever built into its e-collars and packaged it up in the most compact system ever offered. Switch instantly between stimulation, vibration, and tone to fit the correction or communication to your dog’s temperament and learning ability. This model is finished in Realtree Max-5® camo, so it looks great while also blending in with the rest of your waterfowl-hunting gear. This flexible system lets you control up to 3 dogs by adding SportDOG Brand® Add-A-Dog® collars. You can stay hidden. You can get wet. You can work your dog. You can bag birds. What else is there?